The main ingredients are 15% Vitamin C, Cocoa Butter, Rosehip Oil, Mango Butter, and Evening Primrose Oil. The Vitamin C and other antioxidants provide even skin tone and help old scars to fade away. This product also contains several organic ingredients like organic aloe vera, which is great for nourishing skin. This thick, white cream has a light and natural scent. I like the creaminess and the feel of deep hydration when I apply it. The pump on the bottle makes it really easy to use. I keep it in the bathroom to use after showering. So far, I haven't noticed that the scars and marks are totally gone, but they do seem diminished. 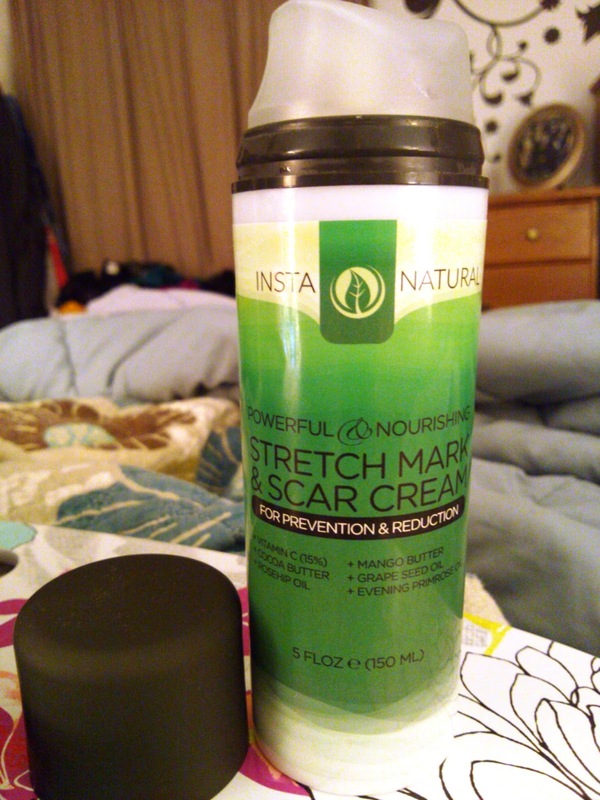 I plan to continue using this stretch mark cream since I do believe it makes a difference. I like that it prevents new scars from forming instead of just targeting old ones.